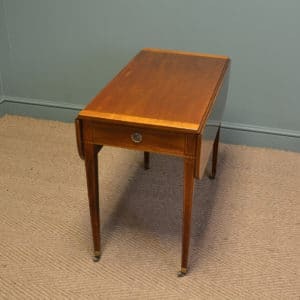 This Fine Quality Regency Mahogany Antique Writing Table dates from ca. 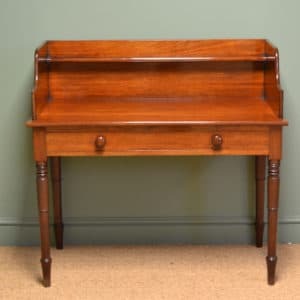 1830 and has a beautifully figured top above two mahogany lined drawers with fine turned handles. 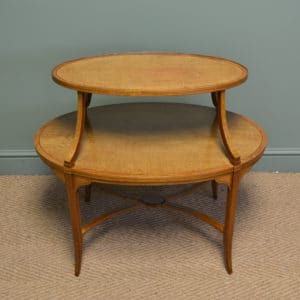 It has shaped sides with stunning detailed carvings and stands on turned bun feet with castors. This Fine Quality Regency Mahogany Antique Writing Table dates from ca. 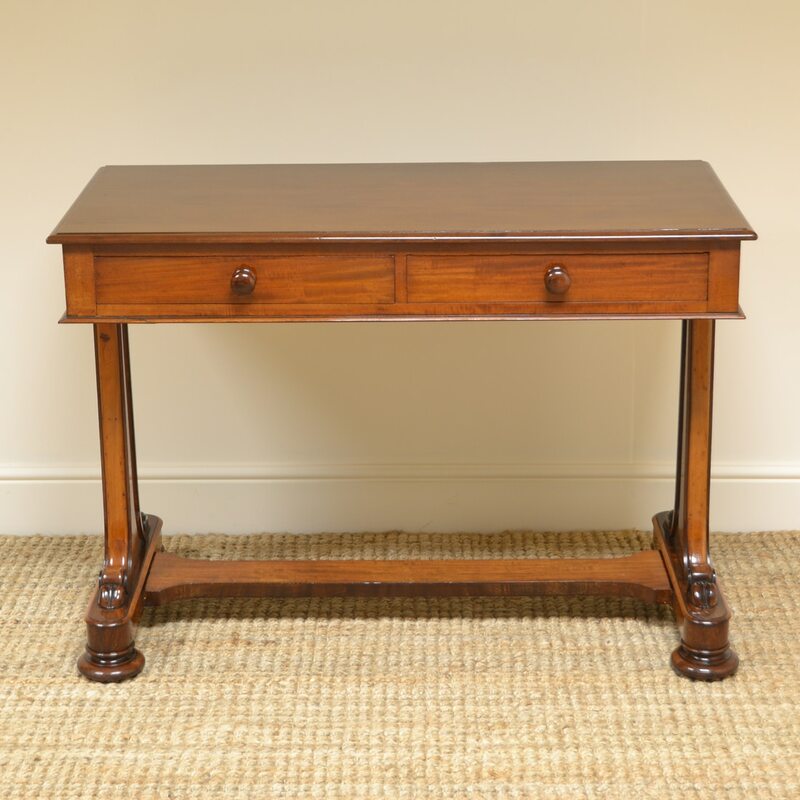 1830 and has a beautifully figured top above two mahogany lined drawers with fine turned handles. 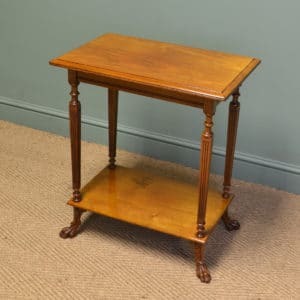 It has shaped sides with stunning detailed carvings and stands on turned bun feet with castors. 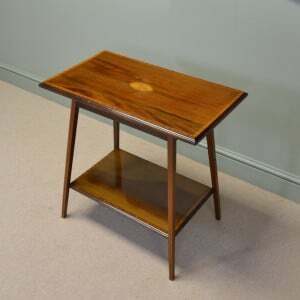 There is a shaped lower tier and the piece is a rich Mahogany shade with a striking grain, good patina, is in very good condition and has been beautifully cleaned using a traditional form of wax finishing.